Some of the booths are smaller, sure. Some companies weren't even there. Right now, they're probably having regrets, because the first public day of the 2011 Tokyo Game Show was the biggest ever. 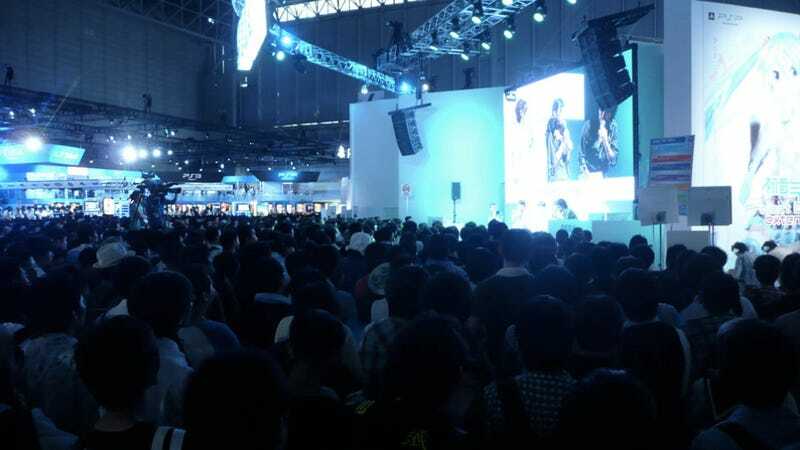 On the first day, over 86,200 people attended TGS, compared to 81,469 people last year and 61,138 people the year before. The number of folks even surpassed 2006's show which had the PS3's first public unveiling. That year, approximately 84,800 people attended the show. This year, Sony is showing off the PS Vita, its new portable game machine. This year's TGS attendees have had to battle rain and power conservation as well as unbelievable crowds and long lines. With all these gamers turning up, hungry to play video games, it's a shame that companies aren't rolling out the demo kiosks in full force—or showing up. With numbers like this, though, look to next year's TGS to be bigger and better.